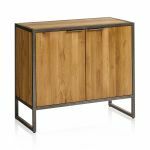 This small sideboard, part of our Brooklyn range, is a stylish modern addition to your living room or dining room. 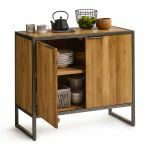 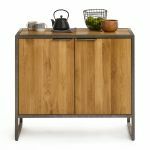 It features an industrial design, with a dark aged effect metal frame, which lifts a solid oak cupboard section for an open and light feel. The oak is finished with our beautiful natural protective wax which lends warmth and lightness to the timbers and brings out the wood grain patterns. 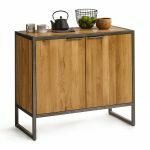 The small sideboard boasts plentiful storage. 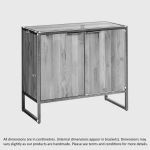 The cupboard storage section has two sturdy solid oak shelves within to keep your linens, crockery, and more safely stored. 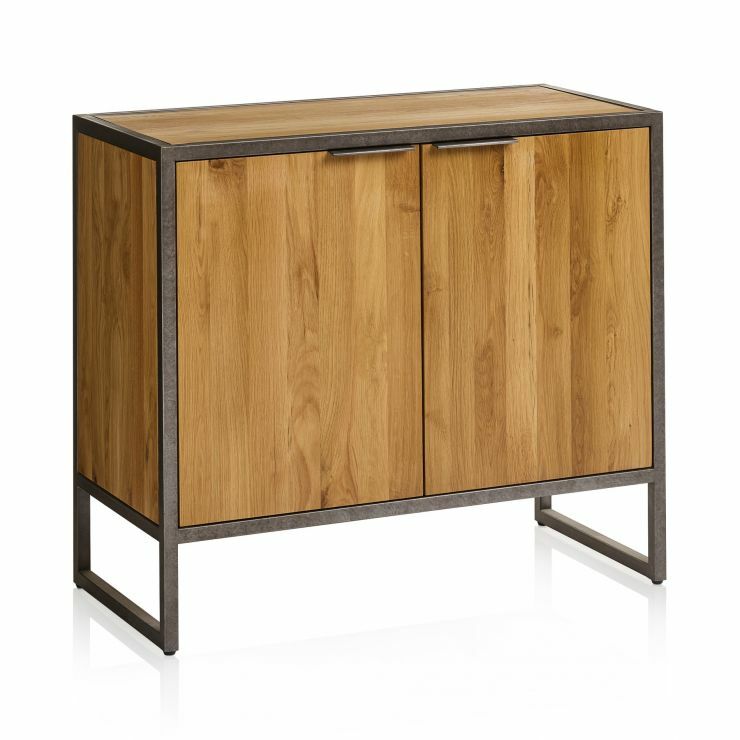 The doors are finished with slim metal tab handles, too, which match the frame for a distinctly fresh look. 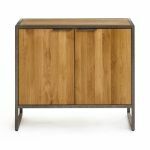 Shop all pieces from our Brooklyn range today!